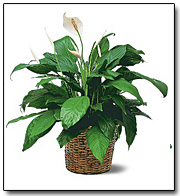 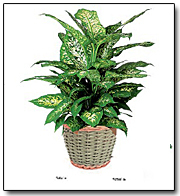 One dieffenbachia plant arrives in a rattan basket. 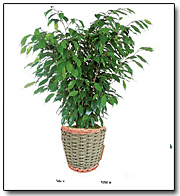 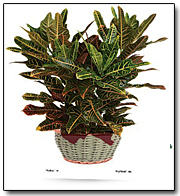 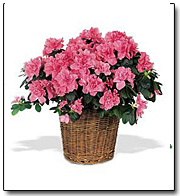 An impressively beautiful ficus plant arrives in a rattan basket..
An impressively graceful croton and arrives in a rattan basket..
Gardens are planted in a variety of containers based on availability. 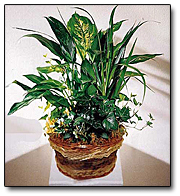 Container types include baskets, ceramics, and pottery. 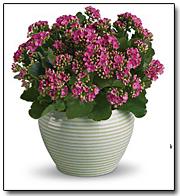 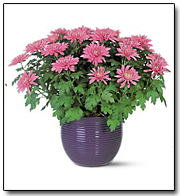 Call the shop directly to ask what’s been planted for the week!